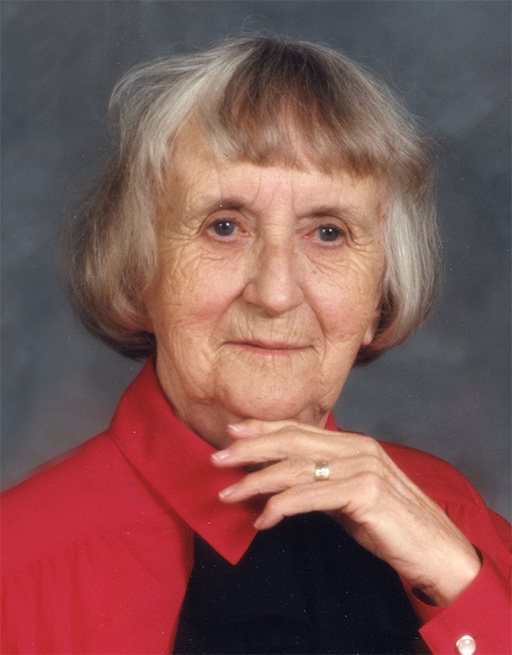 Evelyn Halloran, age 96 years, passed away on Friday, November 23, 2018 at her residence in Emerson, Manitoba. She is survived by her children Jack (Ruth) Halloran, Ellen (Brian) Pettit, Terry (Leisa) Halloran, Kathy (Tony) Cuccaro, and Robert (Jacquie) Halloran, as well as 8 grandchildren, and 3 great grandchildren. She was predeceased by her husband Robert Halloran, daughter-in-law Valarie, sister Gladys (Mark) and nephew Danny. Funeral service will be held on Thursday, November 29, 2018 at 2:00 p.m. at the St. Andrews United Church, Emerson, MB. A private family ash interment will follow at the Emerson Cemetery. Donations in memory of Evelyn may be made to the Heart and Stroke Foundation, or to the Children's Wish Foundation, or to a charity of one's choice.